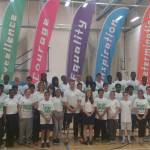 LONDON 2012 gold medallists Katherine Grainger and Richard Whitehead were on hand to help start Lloyds TSB National School Sport Week in style at Southfields Academy. 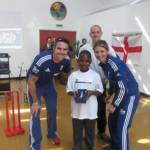 England cricketers Kevin Pietersen and Charlotte Edwards thrilled students at Sacred Heart School Battersea by visiting them on National Cricket Day. 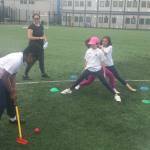 The summer term has been a busy period for the School Games competitions in Wandsworth with another seven schools qualifying to represent the borough in the LYG School Games final at Crystal Palace. 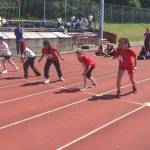 Ravenstone put on a great display of athletics to win the Wandsworth Quadkids athletics event at Tooting Bec Athletics Track on 4th June 2013.